Rated 5 out of 5 by jivins11 from One of my favorite series. Lots of different kinds of puzzles. Interesting plot. A great start to the series! Just enough of a challenge to make it fun, though it is a bit old and shows it. But both me and my kids love it! Rated 5 out of 5 by pennmom36 from The Princess Has Awoken! I love this series so much that I have decided to re-play the Awakening saga from the first game to the last. Nobody can top this magical style, from the fairy tale story to the beautiful graphics and magical music and sounds. The Princess has no magical powers, she is simply a human and now that the spell has worn off and she has arisen she will have to find a way to rebuild the castle and help out the Goblins and Fairies without the help of magic, with the exception of Mira the hand maid to the Fairy Queen who will help us out when we are having trouble finding things or if we get lost. I had forgotten just how many mini games and puzzles there are in this game but there truly are a bunch! Most of the mini games can be solved by referring to your journal for clues such as the placement of different colored flowers or what order to put the red, blue, green, purple, and orange orbs on the door. There are puzzles that you swap pieces and puzzles that require you to simply put the different shaped pieces in the correct spot. One of the helpful Goblins gives you a Goblinjong box which is basically several games of Mahjong with the goal of matching the two alike key tiles in each game. Once you play this game you unlock unlimited Goblinjong games. This is a wonderful saga with a Fairytale theme, which in my opinion can be played by children and adults for hours of fun, enjoy! Rated 5 out of 5 by AshleyAdventurer from The one that got me hooked! I realized I never wrote any reviews for the games I've played, so I'll start with this one. Note: Bought this at Walmart as part of a pack. This is the game that got me hooked on the series! Pros: -Visually stunning -Very Fun -Creative -Not just HOG after HOG -Captivating story Cons: -Was the "girliest" in the series for me (I am a girl, too) -The old toolbar system compared to Goblin Kingdom onward. I definitely recommend this game--it'll be the start of your addiction! Rated 5 out of 5 by MirabellSummer from Lose Yourself in This Wonderful World I loved this game - I still love it and play it often. The storyline is based on a very used act - somewhere someone wakes up with no memory of who she is, where she is or how she got there. Usually I find that stories based on this are are dark and creepy, but I was in for a big surprise on this one. The story is about Sophia who wakes up in a castle full of magic, fairies, goblins, you name it. Through HOS games and various mini-games she slowly finds out more about herself and her history. I found myself lost in her story wanting to stay in the universe forever. I loved how everything was magical and fairytale-like. The graphics blew me away. The visuals was just beyond what I had experienced before. Very beautiful and detailed scenarios. The music is also a huge factor to my undying love for this game. It matches the visuals and story extremely well and greatly adds to the magical atmosphere. The level of challenge was just my type. Not too easy nor too hard. It does not only focus on the HOS and mini-games, but still allows me to enjoy the graphics, the music and the overall atmosphere. It met my expectations of a game that I could enjoy very well. To sum up everything this is a very fun, exciting and amazing game. If you like to get lost in a magical world, in a story that is not too dark and creepy like so many other HOS games, then this is just the one. Give it a try. Rated 5 out of 5 by Bullionist from Great beginning of a magical series This beautiful game series introduced me to the rich "hidden object" genre. It has a very enchanting atmosphere as you explore the castle and grounds seeking out the mystery of what happened to the people of your kingdom. The fairy companion who helps you is charming and the goblins you interact with are very amusing. 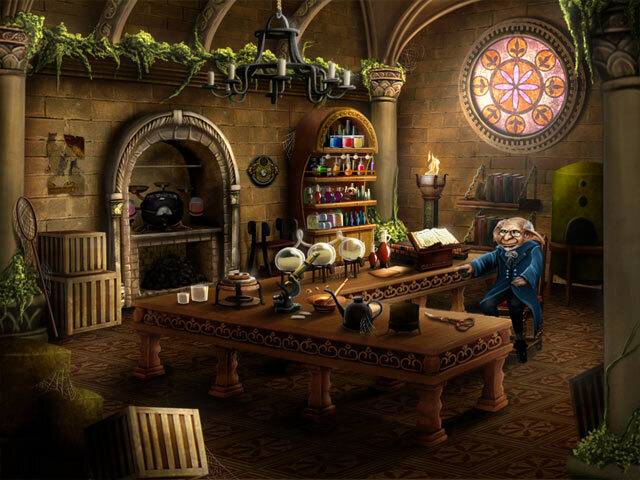 The hidden object scenes and puzzles are perfectly integrated with the atmosphere of the game and never feel like they were thrown in at random. Also, despite not being a fan of puzzles in general, I found that the puzzles in this series were very satisfying to work on and (for me) the perfect difficulty level -- however they also give you a great option to skip a puzzle that you don't want to finish, so you can just get on with the adventure if you want to. I enjoyed the Dreamless Castle and the sequel Moonfell Wood so much that I bought the rest of the Awakening series as well. Each game could be played independently, but the story of each one in the series continues directly from where you left off in the last game, which makes it even more satisfying. Rated 5 out of 5 by Dreamfarmer from Absolutely charming. One of my earliest HOPA games and I was drawn in far more than I expected. It's a silly, cute adventure with just enough pathos to keep it interesting. And since the protagonist is fairly isolated, it relies on the scenery to tell the story rather than cheesy NPCs, which is always a plus. Rated 5 out of 5 by waldo12886 from Once Upon a Time... AND Plenty of Puzzles AND MAYBE Perchance, Princess? 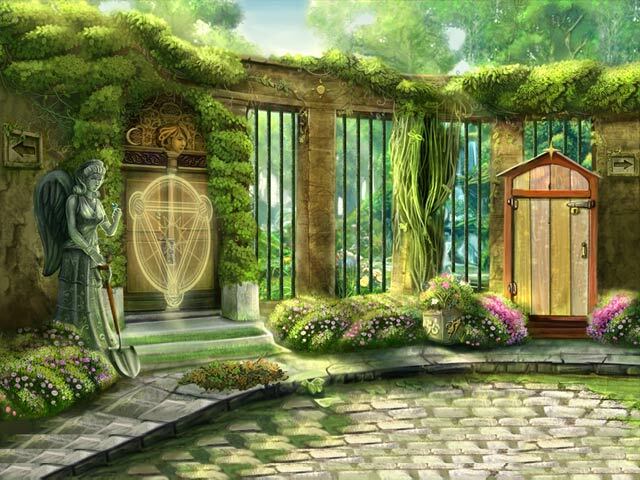 The Bottom Line With a great mixture of elements from two different genres, a strong variety of different puzzles and mini-games, and some of the most gorgeous production values around, Awakening: The Dreamless Castle is a superb example of a hidden object/adventure game. Though it may be short, clocking in at just under three hours (though you can play a few rounds of goblinjong after the main game is over), while it lasts the game is an incredibly engrossing, serene experience, and the perfect way to spend an afternoon or evening. Rated 5 out of 5 by Mamiecoeur from Exellent games (all 4 of them) All of the "Awakening" serie is fantastic ! Adults and kids have a great time playing one game after the other, following the sequence. The story line is beautiful ! Princess Sophia is a lovely character. When is the next one coming out, so that we can close the storybook ? Rated 5 out of 5 by MoonlightBliss from So cute! Hey have gone back and played this series a couple times. I am currently using it to train my mom on her new laptop! A very nice story line that keeps me coming back for more. The artwork is very whimsical and sweet. Not your average princess tale! Rated 5 out of 5 by Playagrl from Another great HOG I played this HOG in one night, until it was completed...(you may say that I was "Dreamless" :)). It was very addictive. Rated 5 out of 5 by aries1122 from A must play for the beginning of a great series! This was actually one of the first games I've ever purchased and once I finished the game it was hard to find others that compared to the high quality and catching story line of this game. This game immediately catches your attention with the beautiful graphics and relaxing music. You are instantly taken away into another world where beauty is not spared. This game is easy to understand and the graphics are clean. Well done Boomzap! Rated 5 out of 5 by Anigisdi from Gorgeous My advice is to play this game and then the rest of the series. These games are visually beautiful, the stories draw you into their worlds and the games are just plain fun. I was able to play all 3 of these in expert without hints, but I still felt challenged. Play it, you'll love it. Rated 5 out of 5 by sapoe from another good sequel! Well, it's Boomzap! I'm enjoy playing this and having fun. Thanks dev! Love it! Rated 5 out of 5 by hogz1 from 'Need to use one's perceptive powers' game At first I couldn't really get into this game as there weren't enough clues but then I decided to check out the 'walkthroughs' (ie I cheated) but just to check out where I'd gone wrong and once I'd sorted it I thoroughly enjoyed the game. It was a tough job trying to stop playing it and I recommend it to all and sundry who enjoy HOG's with a good story line to them. Graphics were amazing as well. Rated 5 out of 5 by neilskinut from good game and fun One of the better games. Just a good all around good and fun game to play. Rated 5 out of 5 by EmmyS_93 from Just Amazing! Simply beautiful! I highly recommend for anyone with younger children especially. Mine wouldn't look away! Gives you Mommy (or Daddy) time while keeping the kids close! I had a hard time closing the game once I started playing. Kept me very interested! Rated 5 out of 5 by RokaSiru from Pretty good game I liked this game a lot. The visuals were pretty good, the story kept my attention most of the time, And you have to pay attention in some spots or you might miss something that you need in a puzzle solution. I would recommend. Rated 5 out of 5 by bishky from Oh my, to be a princess!! If you want to talk about a beautifully drawn game, this is it!! From beginning to end it is just the best. Not too difficult to play but you do have to think in this one. The games are fun and not terribly difficult but there are a few that will give you a bit of difficulty. The storyline is easy to follow and you get little "helpers" along the way. What a series this will be if you start on this one. I own them all and I go back and replay the entire series and love them even more every time. Hope you will too!! Rated 5 out of 5 by freestyle1 from Awakening: The Dreamless Castle I love the story about the princess. It take me back to my childhood. Rated 5 out of 5 by JustTheFacts from Absolutely Gorgeous! GAME COMPLETED SEVERAL TIMES Story: After awakening in a mysterious castle, it’s up to you to prove yourself worthy of the legendary Light In The Dark, escape the castle and save all the kingdoms. Developer: BoomZap Release Date: Feb 2010 Extras: Game Timer, Unlimited GoblinJong, Faerie Companion I am embarrassed to admit that all four times I’ve started this game I have had to resort to the walkthrough in the beginning. Later, the game seems to make more sense . After all, the story is simple enough, the problem is getting a handle on a different style of HOs. There are only a couple of HOs with lists, yet almost everything that needs doing means looking around in the location for the “10 map pieces” etc. And many of the items are quite difficult to find, and occasionally too small. There are by far many more puzzles, but without exception they are well within my amateur grasp. The artwork is the real reason I like the games in this series. The entire Awakening series are glorious visually. They’re just so darned pretty I could spend all day happily plodding along. Now I think about that’s pretty much what I’ve just done. And by the way,who was that mysterious goblin? Rated 5 out of 5 by jackinbox from challenging game After playing this game i downloaded the next three parts in the series. Each game is complete in itself but each also continues into the next game. Played all four games and loved all of them. Some scenes were more difficult and needed careful thought. Several scenes you had to return to later in the game to collect something you needed. Great value for money. I will play these games again. Rated 5 out of 5 by Grammyta7 from Fun and relaxing game I enjoyed this game. I like the Awakening series, so I have played several. It is easy to follow and a cute game. Rated 5 out of 5 by rharpe from I'm an old Adventurer of the 1990's... This game has a great mix of graphic visuals, audioFX, background music, and story. The only thing lacking was animation and maybe a few more hours of game-play. :) I really liked the "Adventure-like" story and playability! Overall it was really fun! Rated 5 out of 5 by ironic_beauty197 from Beautiful sweet relaxing game I have all of the awakening games and love each one just as much as the previous one. This was one of my first introductions to adventure based gaming and this series sets the bar high. The graphics are beautiful and the storyline is sweetly charming but very captivating to where even my rough 'n tough husband was peeking over my shoulder helping me out. Though I read in a few other reviews that the game play is more childish in nature some of the puzzles are quite difficult and is best for ages tween to adult. Even though the game play at times is pretty basic it never gets boring. 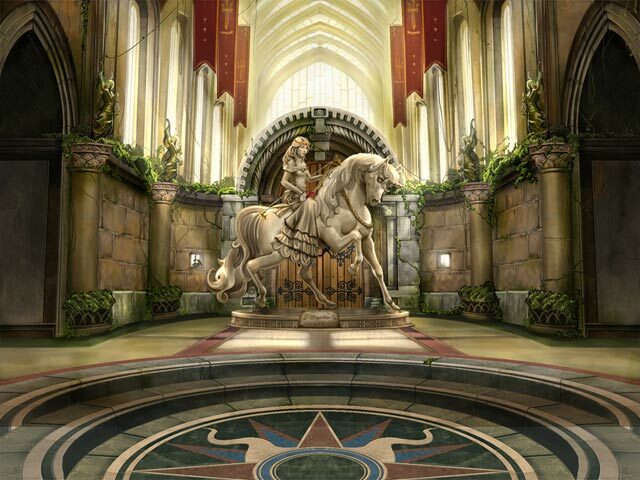 You move from room to room completing tasks and finding objects that help you on your way out of the castle. Most of the game play is centered around finding objects (not in a HO scene) that help in solving puzzles and completing "mini-games" to get to the next task. This is a must try and worth every penny to buy! Rated 5 out of 5 by Mrs_Kim from Very neat, cute game This is my second time trying to play this game. The first time, I thought this game is rather childish, with fairies, goblins, sleeping princess, dragons, but I got the chance to play Skyward Castle and I begin to like this game, although I am sad to say I play it from the end to the beginning. I don't know the starting of the story, so I tried this game. I liked it overall, very cute and neat. The puzzles are not overbearing like most Boom Zap games, the graphic is excellent, nice music although quite repetitive. Very few hidden object scenes but that's alright. Will surely try other titles in the series.